Direct buy sales refer to all items that have a fixed sale price and are available for purchase in real time. Single or multiple items can be purchased at any given time. This is a public auction held by MedalsMilitary, whose representatives are committed to ensure an honest and successful series of transactions based upon the following criteria. A registration form must be completed before any bids on the MedalsMilitary will be accepted. 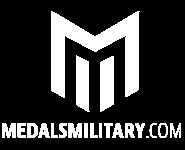 All information that you provide to MedalsMilitary including any registration details or any payment information should be true and accurate. Should any of the information provided to MedalsMilitary change, you are required to update the information or contact MedalsMilitary with the appropriate changes. If any information provided, or if MedalsMilitary has any grounds to suspect that any information provided is untrue or false we have the right to suspend or close your account at our discretion. You agree that if you suspect that there has been any unauthorized use of your account you will immediately notify MedalsMilitary. 1. Items on sale listed are antique and of considerable age which prevents them from being in perfect condition. Many of our lot descriptions will list any defects or damage. This is provided as a guide and any exclusion of this information should not be taken as the item is in perfect condition. 2. All photographs in are as accurate as can be reproduced with today's technology. While these photographs can show centering, perforations, and margins, they cannot be relied upon forexact reproduction of color. Additionally, MedalsMilitary reserves the right to describe items differentlythan the descriptions shown in the catalog should such items be consigned to any future offer. 4. All lots are sold as genuine. For the purpose of this sale, "genuine" is defined as not faked or forged and MedalsMilitary will not knowingly sell any item that has been "repaired","restored", "processed", "cleaned", "pressed" or "conserved" in any way without disclosure of such facts to the potential buyer. 5. In the instance of a lot being proven to be fake or suspected to be a fake a full refund will be given. A refund will be given once the item is returned and is found to be in the same condition it was in when auctioned. In no instance should we be required to pay more than the total amount paid by you this amount will include any shipping costs, you agree that you have no claim for interest. A buyer's agree you make payment, unless otherwise privately agreed with MedalsMilitary, will be made within 7 days of the sell end. MedalsMilitary reserves the right to void a sale if payment in full of the invoice is not received by MedalsMilitary within 7 days after the date of the invoice. All pay pal charges are borne by the buyer (2.9%). Until payment has been completed MedalsMilitary will retain all items won unless otherwise agreed with MedalsMilitary. MedalsMilitary reserves the right to require payment in full before delivery of the merchandise to the buyer. Bidder personally guarantees payment, and if a corporation, an officer or principal in the corporation agrees to personally guarantee payment. MedalsMilitary reserves the right to await clearance of any check used for payment before delivery of any item. In the event a buyer fails to pay the charges due, MedalsMilitary reserves the right to resell the merchandise. Shipping and handling charges will be added to invoices for lots delivered by mail and are calculated based upon winning buyer locations. All efforts are made to insure that all goods are properly packed and secured in order to arrive in the same condition as offered and sold. All lots will be shipped via Express Post Registered (Post Poland). In the event of a lost item during shipping, the buyer will be responsible for total purchase price. Risk of loss shall be borne by the buyer following shipment of the items and MedalsMilitary assumes no liability for merchandise lost, stolen or damaged while in the possession of a party to whom merchandise has been shipped. The refund will be processed once the items have been received and reviewed at our office. Please note that in the event that an item arrives at the buyers location in a state NOT as described, then MedalsMilitary will cover the shipping charges in the event of a return. It is important to clarify and firmly state that MedalsMilitary does not support, sympathize, promote, or tolerate pro-Nazi statements or ideas. We strongly prohibit statements and sentiments that may glorify or promote the ideals of Nazism. MedalsMilitary is dedicated to our initial and overriding mission; to promote a passion for collecting as well as to connect collectors on a global scale and provide a sense of integrity to dealership.